Delighted to bring this to your attention. 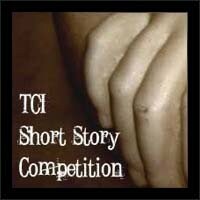 The lovely Stephanella from The Creative Identity has launched a short story competition. The theme is identity. The closing date is June 30th 2010. The stories, as long as they’re on the above theme, should be between 800 and 2500 words, and be entered from anyone over the age of 18 and can be from anywhere in the world, so long as they’re written in English. The overall prize is £100 (which could be increased if enough entries are received) a copy of the anthology (which might perhaps contain some words from me) and a ten week TCI on-line course. Every entrant will receive a free critique of their story. Full details, with entry form, here. Thank you Kelly and thank you Nik!! !